ExxonMobil's history in Saudi Arabia began over 90 years ago with the marketing of petroleum products, followed 20 years later by participation in the original Arabian American Oil Company (Aramco). In the early 1980s, through our joint ventures SAMREF, Kemya and Yanpet, we participated in world-class petroleum refining and petrochemicals manufacturing operations in the Kingdom. These plants, built to capitalize on the country’s vast supply of hydrocarbon for use as feedstocks, have been a great success. 1927 – Socony, later Socony-Vacuum then Mobil, began marketing petroleum products in the Hijaz Region. 1948 – Standard Oil of New Jersey (Esso and later Exxon), and Socony Vacuum (later Mobil) became partners in Aramco. 1960 – Arabian Petroleum Supply Company (APSCO) established as a joint venture between Haji Abdullah Alireza & Company Limited (HAACO) and Socony Vacuum Mobil Oil Inc. to distribute lubricants in the Kingdom and to refuel airplanes at Jeddah airport. HAACO acquired ExxonMobil’s shares in APSCO in 2007. 1976 – Saudi Aramco Lubricating Oil Refining Co. (LUBEREF) established as a joint venture between Mobil and Aramco. ExxonMobil shares were subsequently sold to Jadwa Investment, a Saudi closed joint stock company, in 2007. 1981 – Mobil and Aramco build the East-West Pipeline (Petroline) linking the Eastern Province fields with Yanbu on the Red Sea. 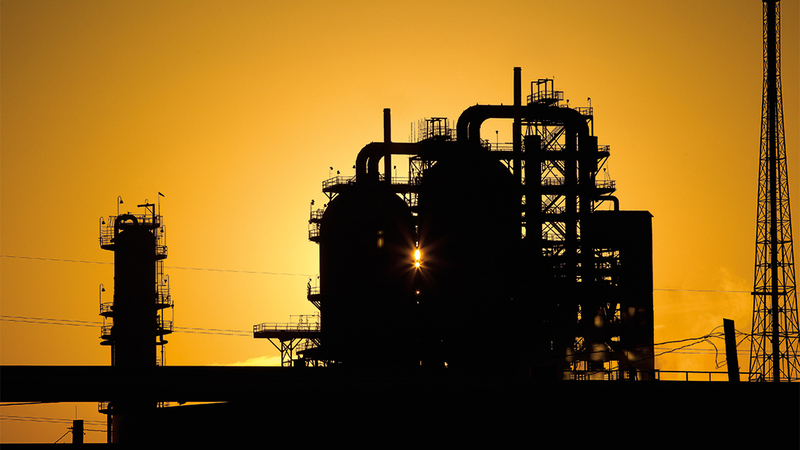 1984 – SAMREF refinery begins operations in Yanbu. It is equally-owned by Saudi Aramco and Mobil Yanbu Refining Company Inc. (a subsidiary of Exxon Mobil Corporation). 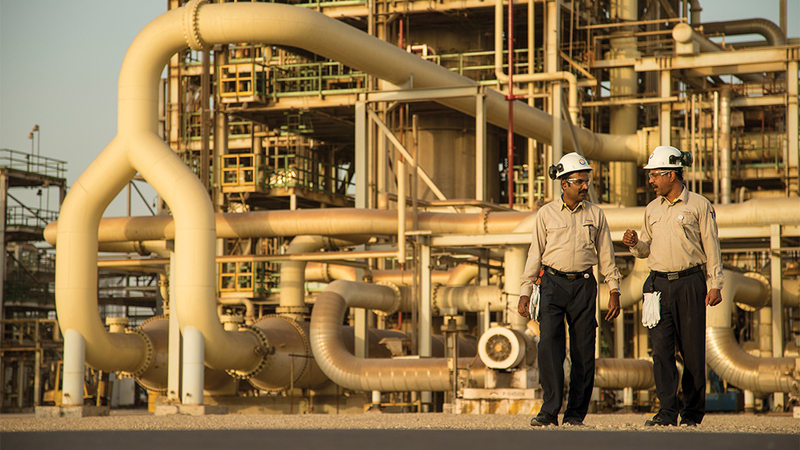 1984 – Kemya starts up as Saudi Arabia’s first polyethylene producer, and has since become a world scale integrated polyethylene site. Kemya is equally-owned by Exxon Chemical Arabia Inc. (a subsidiary of Exxon Mobil Corporation) and SABIC. 1985 – Yanpet plant begins operation in Yanbu and is equally owned by Mobil Yanbu Petrochemical Company Inc. (a subsidiary of Exxon Mobil Corporation) and SABIC. 2007 – Saudi Aramco subsidiary Saudi Aramco Sino Co. Ltd. signs agreements with ExxonMobil, Sinopec Corp. and the Fujian Provincial Government of China to form two joint ventures: Fujian Refining and Petrochemical Co. Ltd., a refining and petrochemicals venture, and Sinopec SenMei (Fujian) Petroleum Co. Ltd. (SSPC), a marketing venture. 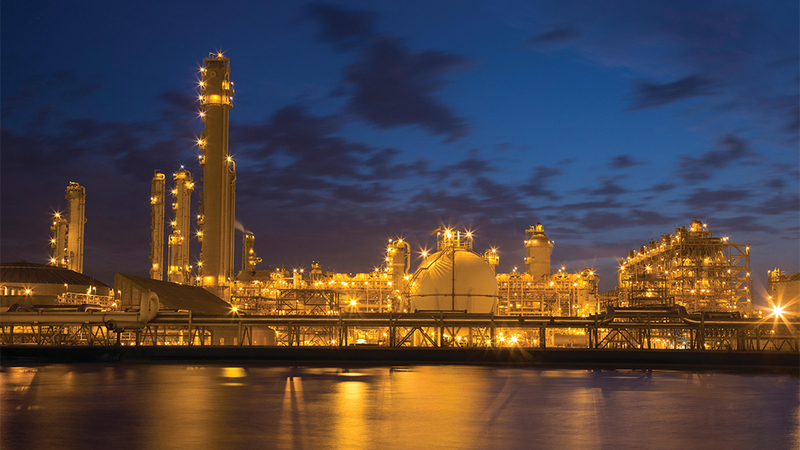 2014 – Completion of the multi-billion dollar Clean Fuels Project (CFP) at SAMREF in Yanbu, aimed at reducing the sulfur levels in gasoline and diesel to meet stringent global standards. 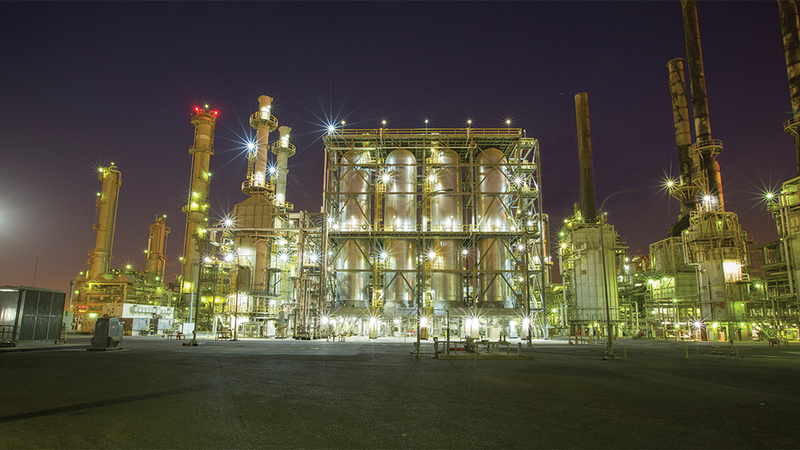 2015 – Completion of the Saudi Elastomers Project (SEP) at Kemya. The synthetic rubber produced by this project supports Saudi Arabia’s economic diversification and national job program and reflects ExxonMobil’s commitment to promoting growth, innovation and job creation in Saudi Arabia’s downstream industries. 2015 – Graduation of the first class from the High Institute for Elastomer Industries (HIEI), a vocational training center in Yanbu established to train Saudis in new skills required for the Kingdom’s developing elastomers conversion industry. 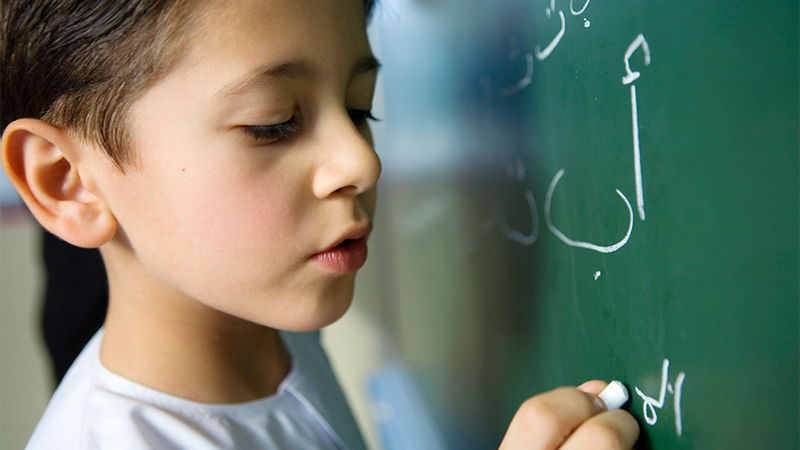 The HIEI employs Saudi instructors to deliver an innovative elastomers education curriculum developed with the University of Akron Research Foundation in Ohio, USA. 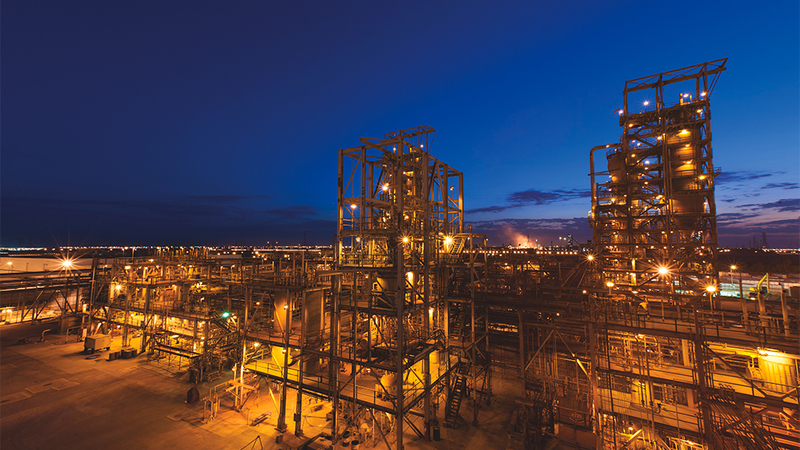 2016 – ExxonMobil and SABIC begin planning for the Gulf Coast Growth Ventures, a petrochemical complex which would include an ethane steam cracker capable of producing 1.8 million tons of ethylene per year, a monoethylene glycol unit and two polyethylene units.